Cape Town - SA Rugby said it was “bitterly disappointed” at the decision by the World Rugby Council to overturn a recommendation that South Africa should host the 2023 Rugby World Cup and instead voted for France to host the tournament in a secret ballot. 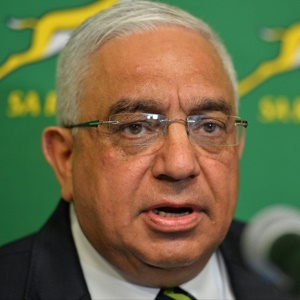 “We are bitterly disappointed at this decision and would like to apologise to the people and government of South Africa for raising their hopes,” said Mark Alexander, president of SA Rugby. “We did everything in our power to bring the tournament to South Africa and we expected to have that right confirmed today. “We produced a compelling bid document that earned the unanimous recommendation of the Rugby World Cup Ltd board. That recommendation was questioned last week by rivals, but endorsed a second time by World Rugby last week. “However, the view of the experts and World Rugby’s leadership was overturned by World Rugby Council members, who may have had other factors to take into account. Jurie Roux, CEO of SA Rugby, ruled out any suggestions that his organisation might challenge the vote. “We have said throughout that we would honour both the letter and the spirit of the process and we now consider the 2023 bidding process closed. “However, in the feedback sessions I am sure we will be recommending to the World Rugby Council that the verdict of the evaluation committee become binding. Alexander said that after a fourth successive disappointment in the Rugby World Cup bidding process it was difficult to know where South Africa would go from here. “It will be for the next generation of SA Rugby leaders to decide whether to compete for the 2027 tournament or beyond,” he said.